A successful comedian tries to square gender stereotypes with the realities of how women really live. 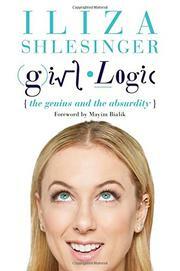 Shlesinger, a winner of NBC’s Last Comic Standing, calls her debut book a celebration of womanhood, though her own life and stand-up routine have hardly been paragons of feminist resistance. She locates her moment of awakening in a 2015 episode in which a male comic mocked a fellow female comic. Emboldened to seek equality, she sets out to define and deconstruct the “have-it-all” mentality forced on American women, the obsession to have the perfect partner, profession, and physique. However, despite her profession and stated goal to increase empathy, the author’s recent realizations are neither especially funny nor noteworthy. Shlesinger leans on hackneyed clichés, such as dissecting the so-called guys’ girl, only to reveal she once hid behind the stereotype of the sports-loving, beer-drinking woman. A handful of the anecdotes about dating and workplace drama are humorous, but most rely on the dated conventions the author supposedly seeks to abolish. Some profanity-laden diatribes come dangerously close to being offensive for their lack of nuance about race and sexual orientation. The takeaway messages of the book are important: cultivate confidence, develop the courage to be different, refuse catty competition with other women. Unfortunately, the intended lessons are often lost in the author’s frenetic chatter—e.g., an entire chapter describing how women should text men—and memoir-style meanderings through her childhood and adolescence, many of which lack resolution. In a handbook seemingly meant for teens, the faux adolescent tone feels forced and obscures what could be an empowering message about how it is never too late to counter the reductive nature of stereotypes. Instead of instructions for how to grow up, this reads like a series of theories not yet fully formed. An amusing stand-up bit buckles under the weight of a book-length treatment.